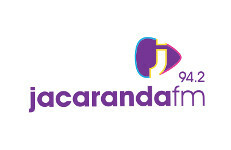 With a combined audience of around three million, Jacaranda FM received nominations for multiple shows across the workday and weekends, as well as for its performance as a station, at the 2019 Liberty Radio Awards. Jacaranda FM’s Breakfast with Martin Bester was nominated for Best Breakfast Show, Best Breakfast Presenter and Best Podcast, and the show’s producer, Megan Mitchell, was nominated for Best Content Producer. The second session of the WorkZone, which is headed up by Alex Jay and forms part of the station’s no repeat workday, was nominated for Best Daytime Show. The Jacaranda FM Scenic Drive, hosted by Rian van Heerden, received three nominations for Best Promotions Stunt / Event for its Desmond Dube Corrupt Cop stunt, Malcolm X and the Scenic Drive Straatbraai. Other nominations include Best Music Show, Best Weekend Radio Show, Best Innovation, Best Station Imaging and Best Multi-Channel Promotion. "Being nominated for 13 awards in one of the biggest industry benchmarks and, across a wide variety of shows, [it] is a massive honour for Jacaranda FM," says Jacaranda FM’s GM, Kevin Fine. "We have some of the best talents in the trade who are absolutely committed to our listeners and clients in delivering a product and a total radio experience that is informed, credible, engaging and entertaining… and going ‘beyond radio’ in an era that demands it," Find adds. "We constantly fine-tune what we do to be the station that consistently sets new standards of excellence. These nominations show that we’re definitely hitting the mark," Fine concludes. Votes for your favourite radio station can be cast here. The competition closes on Tuesday, 2 April.